Burlappcar: 2016 Prius VS. 2016 Volt: bathtub or no bathtub. Just thought I would post this. But still. To me, the new Volt interior is light years ahead. 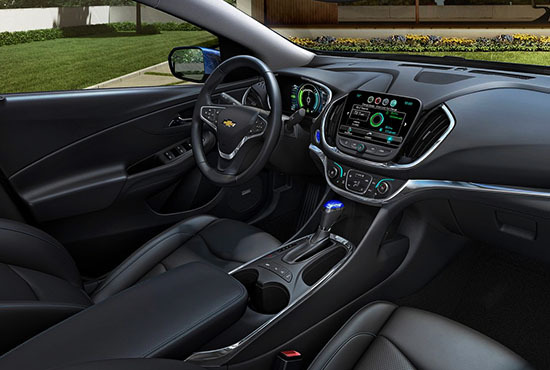 And the Volt doesn't have that weird/cheap looking/ugly bathtub/urinal looking center console. I will sit in both of them this November at the Los Angeles auto show and will take tons of pictures. But, last year I actually sat in the all new (and much more expensive) Mirai. Take the poll on the left and tell your best friend Vince what you think! I am definitely not digging the Prius' Lord Vader helmet inspired dash. You're right, the Volt may not be the sexiest beast, but at least I didn't gag either. AND I THINK IS BAD BECAUSE IS A SPECIAL CAR... THE PRIUS WILL TAKE THE MARKET AGAIN ! ITS 2016.... NOT THE 2000 .... WE NEED TO IMPROVE AND CHANGE .... BATHTUB OR NOT ITS HOT ! It's not just the bathtub, is the whole thing that looks horrible, I guess that they wanted to keep it hideous inside and out. The Volt looks way better. I think the bathtub is there so the buyer can try to wash the pain and filth from his/her eyes that will occur from seeing the exterior. Guys the "bathtub" is an inductive charging mat for your cell phone. Darth Vader and Storm Troopers. Too bad. People don't need inductive charging mats in their cars. Phone batteries are now available up to 5000 mAh and can last for days on a charge. If you really do need one for your outdated phone, then just order one on the internet. The white plastic on the dash is totally outdated and even Chevy stopped using it in 2012 on the Volt. 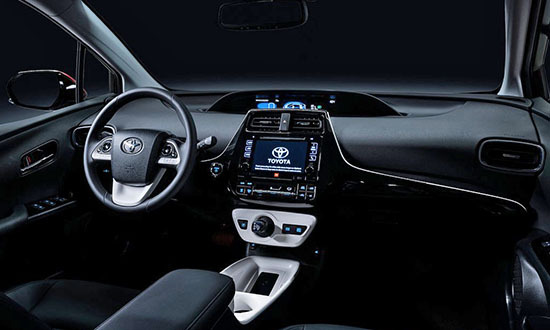 This Prius is not high tech at all and now it makes sense why they chose to unveil it in Sin City rather than Silicone Valley since it is ugly as sin! Anonymous 09/10 4:27 pm you made me laugh like you have no idea. SpiveGuy, I know that the bathtub is a charging mat but that doesn't make it look better. It is still horrible and they could have had a charging mat that looked decent. I'd rather use my old USB cable to charge my phone than have that horrible thing in my car. What's amazing to me is all the chatter about the "bathtub" when the whole effing car is an aesthetic disaster! The bathtub is the least of its problems! And yes the Volt is better looking inside and out, but frankly that is faint priase for the Volt. I think we all realize that. But, just because it is an inductive charger doesn't mean it needs to look like a "bathtub." The use of that white plastic around the shifter and below is ridiculously awful looking and cheap. The bathtub recharges and is more practical to reach while you are driving. The rear design of the car is ...another matter. this is the ugliest exterior i have ever seen. I had high hopes actually, I heard about low center of gravity, akio toyoda pushing for more attractive desigh and what not. Interior looks like an urinal, parents have to be careful with little kids, they might think its real. And the front dashboard looks upside down. Seriously where do they hire all these designers? are they totally blind? dont they ever see a nice car on the street? or are they complete nerds who never leaves the desk. Darth Vader is a great way to describe the dash design of the Prius. I'm sure I'll get used to it, but I think it's ugly inside and out. I know pictures definitely don't tell the whole story, but the Prius interior looks dull and cheap when compared to the Volt interior in the photos that you posted. Based solely on pictures of the exteriors and interiors of both vehicles, I would easily choose the Volt over the Prius. the new prius is a total shitshow inside and out. This abortion, along with the rolling turd named Mirai, make me hate all of the designers and execs at Toyota. A bunch of tasteless, arrogant dirtbags. This is garbage, sold to the tasteless who've been brainwashed that only Toyota or Honda are worth owning. "This abortion, along with the rolling turd named Mirai, make me hate all of the designers and execs at Toyota. A bunch of tasteless, arrogant dirtbags. This is garbage, sold to the tasteless who've been brainwashed that only Toyota or Honda are worth owning." Maybe you should write to Toyota in Japan and they will change the whole design just for you.